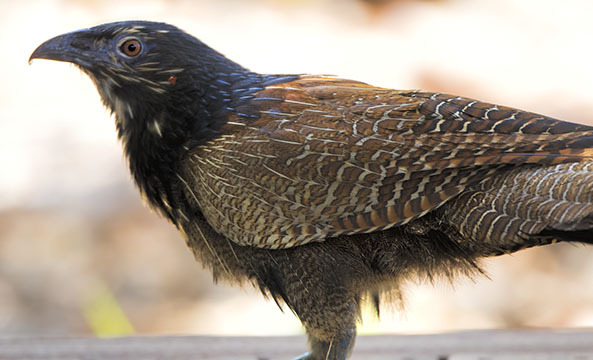 Pheasant coucals are strange, clumsy-looking birds typically found in wet grassy areas in northern and eastern Australia. 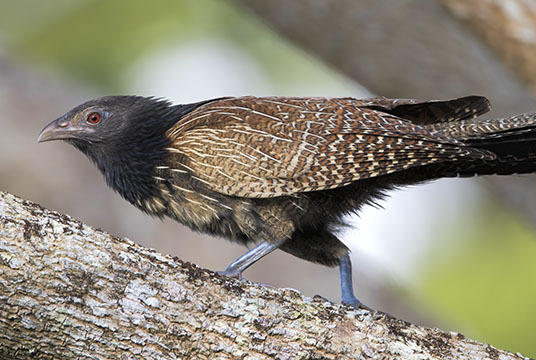 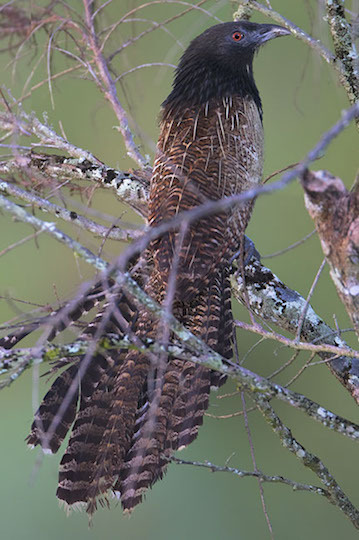 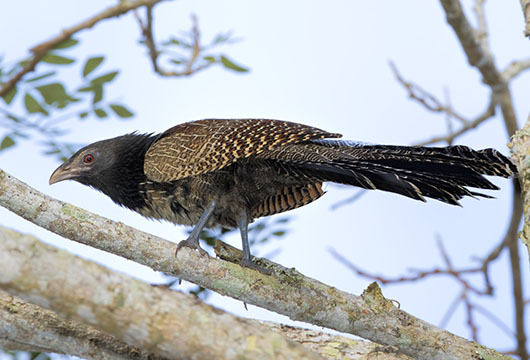 Unlike other old-world cuckoo relatives, it is not a brood parasite. 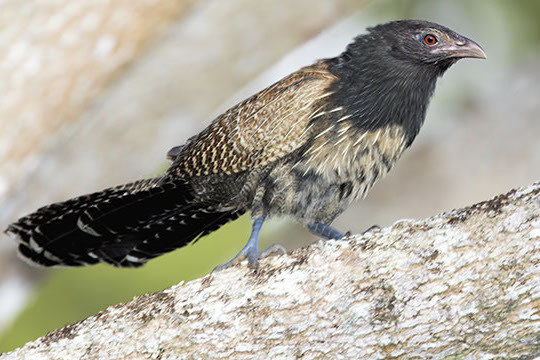 The bird above was in a small dead tree in a lush green pasture in north Queensland; the one below was in dry, dusty Kakadu Park in the Norther Teritory, looking a little lost.